Beer Nerd Details: 7.4% ABV bottled (750 ml caged and corked). Drank out of a flute on 10/26/13. Vintage: 2012 Project. 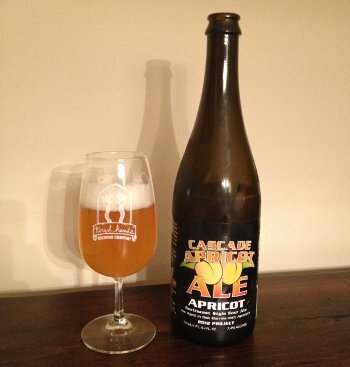 Another winner from Cascade, I'll have to figure out when and where to pick up some bottles of their more limited releases (anything that starts with "Sang" sounds pretty awesome to me). Or find a mule in a state where they can ship beer (stupid PA liquor laws, and DE and NJ aren't excused on this one either, as Cascade can't ship there either). In other news, I'll have actual Halloween themed beers for you later this week. This page contains a single entry by Mark published on October 28, 2013 10:47 PM. Framboise For A Cure was the previous entry in this blog. Tired Hands Monster Beers is the next entry in this blog.